We are delighted to invite you to the inaugural exhibition at WBG London Projects on Tower Bridge Road.Dagenham Opus will be a solo presentation of new and developing work by Cedric Christie, influenced by the relocating of his studio a year ago into a steel bending factory in Dagenham. Cedric began working as a sculptor in the mid 1990’s, initially inspired by friendships struck up with artists who had moved into the area of East London where was working as a steel fabricator. Cedric is a true autodidact – he has one of the best libraries of philosophy and art history that you are likely to find in any factory anywhere, and his appetite for learning and his areas of interest have no limits. A conversation with Cedric might take you from Guy Debord, to the best local cafes, via Brancusi, and ending up at the primal spectacle of arena boxing, all while crackling classical records echo past beautiful old steel rollers, benders and grinders. It is this magpie nature that has always informed his art: taking a found or familiar object and combining inspiration from constructivism or minimalism and adding his own distinct voice and humour, as seen in his iconic snooker ball and scaffold works. The thread that pulls together these eclectic interests is the artist's intuition for restraint and a pitch perfect understanding of form in space. Dagenham Opus marks a shift in Cedric's way of working, toward something looser; the freedom allowed by access to the factory's facilities means he can execute ideas quickly and improvise with steel in a way he could not have previously. The first experiments he made were a series of mono-prints created with off-cuts of rolled steel taken from the factory skip. The delicate line traced by the edge of the metal on the fine Japanese calligraphy paper belies the weight of the steel and the roughness of the surroundings they were printed in. These have, in turn, led to new series of sculptures that have been informed by this way of working. 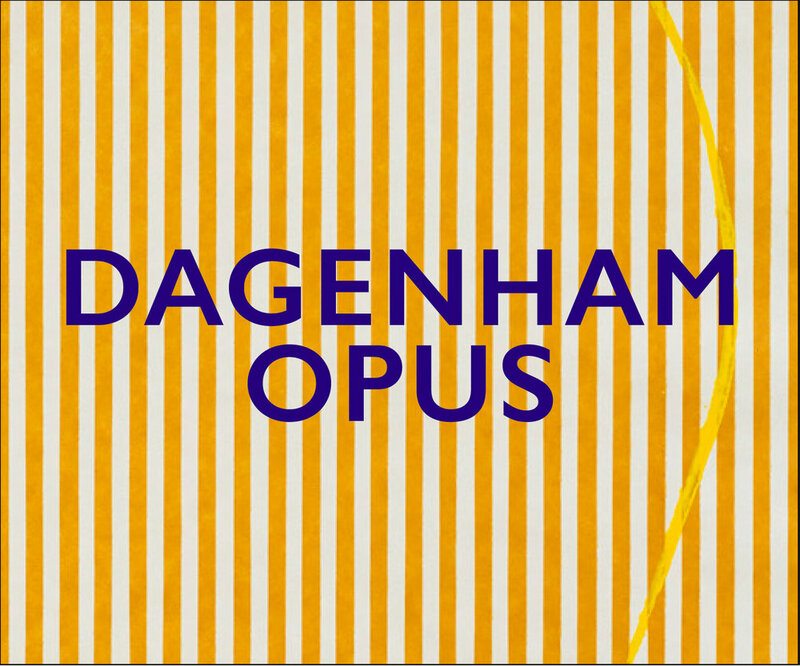 All of the work included in Dagenham Opus has been made within a few, very productive, months. We wanted to capture within this exhibition some of the prodigious energy of the factory-studio and to show some work that is continuing to develop alongside those more fully resolved.